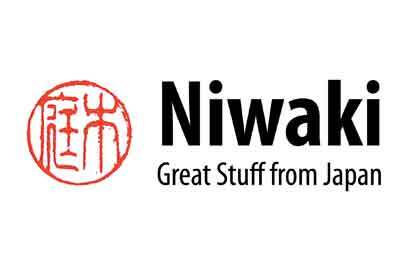 Until a while ago, I wasn't aware of a British company called Niwaki who import and sell high-quality Japanese goods. These include a range of woodworking tools of which these two pull saws caught my eye. Many woodworkers have still to try these unusual tools, preferring the typical Western-style push saw, such as those made by Crown Hand Tools, which have thicker blades and a rigid back. 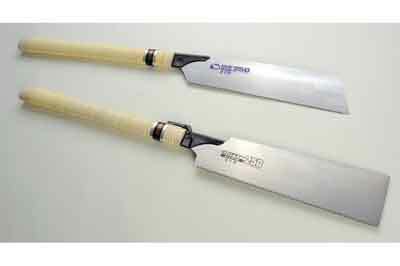 The big Bakuma 250 saws are long, particularly the bamboo wrapped handle. The experience of holding and using is quite different to a standard handsaw. The grip is quite positive and pleasant and the seemingly flexible and flexing blades cut with control because they are not under compression but are 'stretched' if you like, and therefore cut a neat straight line when you get used to them. The Bakuma Kataba is for crosscut carpentry work while the double-sided Bakuma Ryoba offers both crosscutting and rip ability. The blades, which can be replaced if they get damaged, have teeth sharpened and hardened to a high degree and consequently can sometimes break, hence the blades being replaceable. 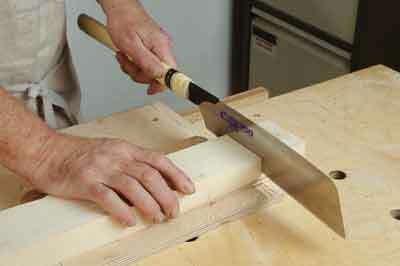 Removing the blade is a matter of tapping the back of the Kataba blade to loosen it, whereas the Ryoba has a latch instead, which helps to avoid tooth damage. Fitting a new blade is easy enough to do. There are times when a pull saw is more appropriate than a Western-style saw and my own tool cabinet at home holds both types. I wouldn't set up a test between both sorts of saw because it really is a matter of personal preference, not just between push or pull, but choosing from job to job. Having said that, I am definitely a fan of pull saws; they are a pleasure to use and the fine kerf and straight line they will cut is very impressive. For such high quality, the prices are reasonable and a good investment.